As products evolve and mature, the balance shifts towards product lifecycle management. To remain competitive, product companies need to sustain their products by releasing patch updates, providing regular upgrades, feature enhancements and customer support at all levels; thereby maintaining satisfaction levels. At the same time, they need to bring out new versions of the products and also ensure that these inter-operate with existing products. 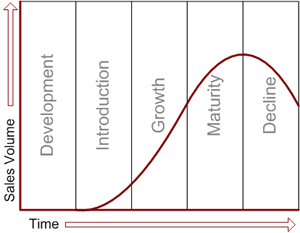 All this puts a strain on their existing product development resources, which need to focus on new product development. With its expertise in both software and hardware engineering, ACTIS Computer offers product lifecycle support services, thereby helping companies focus their resources on new product development. For a product reaching the Decline, this product may be no more available as a COTS reference. Therefore, for customer requiring long-term availability for product used on mission critical applications, ACTIS Computer is offering specific production batch solution for obsolete reference based on the original BOM and product characteristics.